20 Best Home Remedies For Skin Lightening At Home - Bring On The Glow On Your Face! Every woman likes to define her beauty by keeping the skin soft and bright looking, which is understandable given the complications of external and internal factors that affect one’s skin. Why invest energy, money and time in hopping around stores to find a means for skin lightening. You can get on the task of skin whitening at home with multiple remedies available at your ease, you may or may not be having a clue of them. 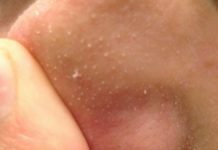 The goal of this article is to give you an idea about all the home remedies you can look at to lighten your skin at home. Pick on the best home remedy. You can do skin lightening at home taking help of different channels. Each channel has all the skin lightening benefits you are looking for. The channels through which you can lighten your skin at home are through, face scrubs, homemade masks, essential oils and by eating the right food to give your skin the flawless look you are in search for. Before you choose a channel to treat your skin, you must know what type of skin do you have. If it is dry, oily or sensitive? Accordingly, plan on the remedy you want to adopt to and lighten your skin. Grind the sugar and make it a fine powder. Mix this fine powdered sugar in the cream and start to apply it on your cheeks(scrub this paste around your cheeks, clockwise and anti-clockwise). Sugar granules do a deep exfoliation to your skin, they clean out your pores by keeping them moisturized. Cleansing cream is fully moisturized and it is good at making all the dirt around your face disappear. Reason being it comprises of petroleum, water and waxes. Honey adds radiance to your face and makes it look clean and young, all the tan on your face disappears. Green tea takes away all the dark spots and flaws on your skin and its antioxidants promote the health of your skin and ensure to keep it glowing throughout. Sugar granules are good exfoliators. If you are not using coffee decoction then add the coffee powder in 1/2 a cup of water and boil it well. You can do this thrice a week. The presence of stimulants, chlorogenic acids and antioxidants make coffee and effectual face scrub to get your skin rid off the dead skin cells lying on the skin. Virgin oil keeps up to the moisture in your skin. All of this is possible because of the anti-ageing, anti-bacterial and anti-oxidant properties on your skin. Application of virgin oil on your skin improves and increases your skin’s nutrient levels. Salt helps in cleansing your pores, keeping oily skin in control and making all the bacteria disappear from your skin. Coconut oil keeps the skin moisturized and olive oil protects the skin and helps it stay away from all the acne and helps the skin stay young and fresh. You can apply this scrub on your face thrice a week. If you want to make your face flash with a glow then baking soda does it all, as it is the best remedy to clear of all the dirt on your face and give it a new look. Aloe Vera is rich in Vitamin C and Vitamin E. It makes your skin firm, fresh and sustains the moisture. Aloe Vera protects the skin and keeps it revived. Yogurt is a great conditioner for your skin as well as your hair, when the lactic acid present in yogurt comes in contact with your skin it takes away all the fine lines and leaves your skin fresh and tightens the pores on your skin. Oatmeal is considered the best natural soap especially for the one’s who have sensitive skin. Oatmeal has properties of treating acne on your face by removing all the excess oil on your skin. The existence of saponins on the skin makes it a natural cleanser. You can try this face mask twice a week. The properties of the enzyme papain and alpha-hydroxy acids are present in papaya and they work to kill all the dead skin cells and proteins that are no longer active. Papaya helps in flushing out all the blemishes and pigmentation. Oatmeal is an anti-oxidant that helps in saving your skin from getting damaged by the heat and pollution. It soothes your skin and it helps in keeping the skin moisturized. Take a bowl and mix the milk, honey and lemon juice well. Milk heals dry skin, brings down pigmentation, hydrates the skin and makes one’s face clean. Honey makes the skin glow and it is highly soothing and moisturizing. It is the best remedy to treat all the acne issues on your skin. Lemon juice makes the skin glow because of the presence of citric acid and Vitamin C, it helps in lightening your skin. Potato juice is known for brightening dark skin and making the loose skin tight. It heals your dry skin by moisturizing it. Rice flour has ferulic acid as well as allantoin that are the best properties for good skin care. Rice flour protects the skin from free radicals that stay on the skin and it helps in keeping up to the glow on the skin. You can try this every night before going to bed. Oils are natural moisturizer given the fact that each oil has its specific valuable properties. Oils not just help to hydrate your skin but they take away all the pigmentation and marks on your face. Almond oil is rich in Vitamin-E, this keeps the health of your skin cells, keeps the glow on your skin intact, helps your skin stay away from fine lines and keeps it away from being damaged because of the UV exposure on the skin. Apply 3or4 drops of almond oil on your skin and massage it in circular motions. Leave it overnight. You can do this twice a week. Olive oil is a rich source of antioxidants which decreases the pigmentation on your skin and helps in lightening your skin. A person’s skin gets pigmentation because of excess melanin in the skin. Olive oil helps in shedding away the old skin by making your new skin look more lightened and it plays an effective role in removing the makeup from your skin. Apply a few drops of olive oil on your face by massaging it in circular motions. You can apply this oil every night before going to bed. Rose Oil has constituents of Vitamin A and C. Rose Oil keeps your skin glowing and has an effectiveness of making the dullness from your skin disappear. Along with bringing the glow on your face, it helps in treating scars and keeping your skin hydrated. There are two ways of applying rose oil. You either apply it directly or add it in water before you take a bath. Applying it twice a week will help. If you want to remove all the blemishes and dead skin, just go for sandalwood oil. This oil is the best one to treat dry skin and it quickly lightens the skin. This oil is a healer of rashes and other skin problems. This oil can be applied twice a week, it is best to leave it overnight. Carrot seed oil has an amazing way of making your skin lighten. It makes your skin shine and bright when compared to the original color of your skin. This oil comprises an ingredient called beta carotene which is responsible for the color in carrots. Likewise, this oil is precisely meant to lighten your skin tone. You can use this oil twice a week before going to bed. You would be assured of how lovely it would make your skin look. It is prototypical to apply a face pack, face mask or scrub to lighten the complexion on your skin. This being said, do we ever understand the significance of our diet that shows up on our body, hair and skin? For skin lightening at home, one must understand the importance of eating the right food. Here is a list of what you should eat for skin lightening at home. Dark chocolate has two pillars named polyphenols and flavonoids that give it the power to lighten one’s skin. Polyphenols and flavonoids consist of lipids and proteins that are quintessential to the skin. Lipids shield the skin from being targeted by dirt and help in keeping the skin moisturized and damage-free and protein is known for being your skin’s building block. Hence, surprisingly dark chocolate not just boosts your mood, it is a shield from all the barriers that keep your skin from brightening. Vitamin C being there in Kiwi makes it a super food that helps in skin whitening. Vitamin C has a say in skin whitening because of its collagen and antioxidant properties that are direct contributors towards lightening the complexion of your skin. Thus, eat fruits rich in Vitamin C if you want a lightened skin. To mention a few other fruits. They are, berries, oranges, lime and lemons. Soy is one of the best superfoods in helping brighten your skin, it is also a great source to prevent anti-ageing. As isoflavone is present in Soy, this is what makes it a superfood. Isoflavones are plant based ingredients that contribute to the skin by improving its elasticity, protecting it from pigmentation and has the capacity to hold water to keep your skin healthy. Fennel seeds are rich antioxidants and are great at detoxifying your body. Having these strengths fennel seeds contribute to the health of your skin. Fennel seeds give your skin the necessary nutrients like zinc, copper, magnesium and potassium that helps in keeping away the skin from ageing and it even promotes a lighter skin tone. To conclude with, be certain on consuming fennel seeds if you want your skin to be bright. Banana is a robust fruit, it has several benefits of keeping one’s body healthy and when eaten or applied, it gives the hair and skin great luster. It is a source of Vitamin A, B and E.
Banana exfoliates and hydrated your skin. It exfoliates your skin by having the ability to eradicate excess sebum from the skin. The necessary Vitamin nutrients keep the glow high on your skin. In order to keep your skin soft and good, you must eat bananas and stay healthy! In conclusion, be happy with your skin tone whether tan, wheatish or dark. You must believe you are beautiful irrespective of your complexion. That being mentioned, it is not too much to go out of your way to eat foods, apply face scrubs and masks to your face for a reinvented look. Ultimately it is you who is going to reap the benefits of a healthy and whitened skin. Skin whitening is a process that is a success when you give your skin that 100% care.